After a morning snorkel/swim around Trellis Bay, we bid farewell to Payton and Kate, who jetted off to Europe. Luckily, getting them to the airport was a breeze… the tarmac of the airport dead ends in to Trellis Bay. As long as your mast doesn’t exceed 50 feet, you don’t have to make your presence known to the airport tower. Passing ‘the Dogs’ that we had snorkeled around the day before, we heading back to Virgin Gorda – this time to the northern part of the island and Leverick Bay. In reading about Leverick Bay Resort, we were certainly looking forward to “The Restaurant at Leverick Bay,” which promised mouth-watering dishes like conch ceviche, lobster ravioli and fois gras. 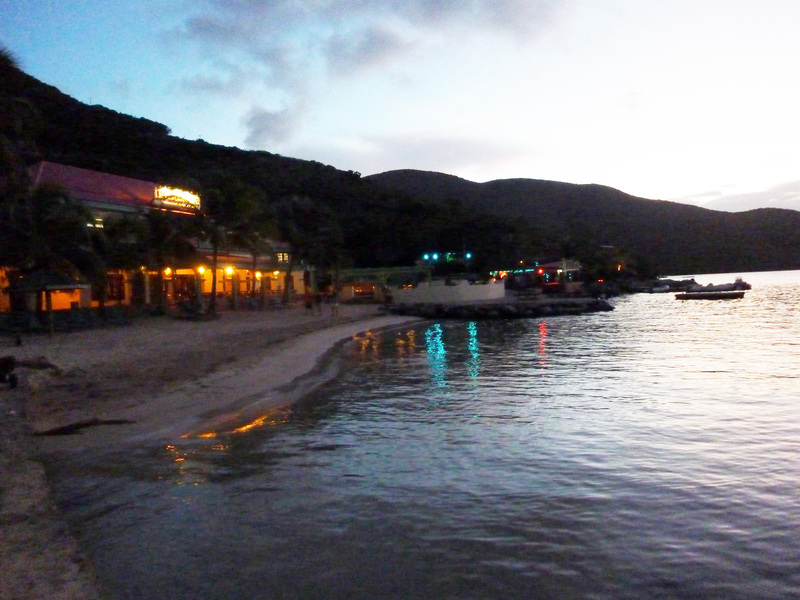 One of the down sides of sialing the BVI during off-season, though, is that some places close. “The Restaurant” is one of those places. We resolved to try out the ONLY place open at the resort (Jumbies Beach Bar), and quickly found that everything we wanted to order (lobster quesadilla, prosciutto pizza) was not available… Couldn’t imagine that anything would turn the night around until low and behold, who walks by our table but Sir Richard Branson! After that, we realized if Jumbies is good enough for Branson to leave his private island (Necker Island), then it was certainly good enough for us. 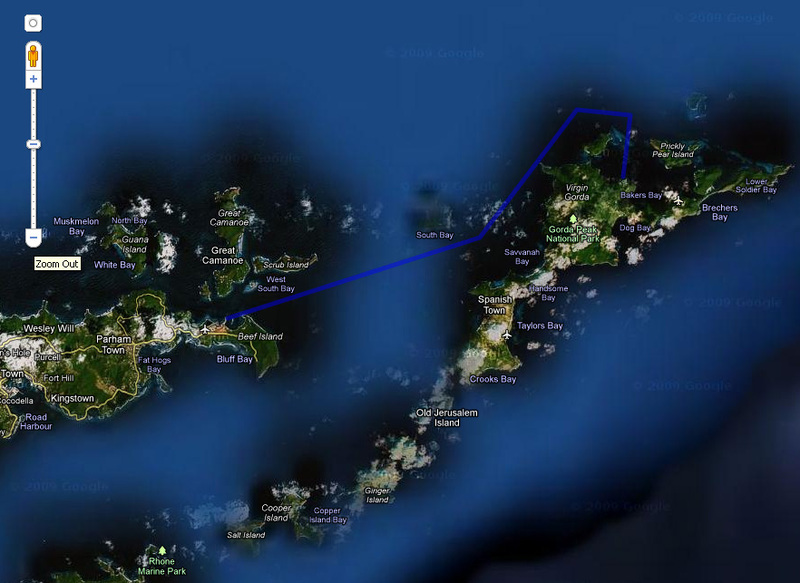 Question of the day: If this is the ‘down season’ for the BVI, then what is Sir Richard Branson doing here? If our waiter at Jumbies has anything to do with it, this “political” problem of having a down season will soon be remedied through his marketing skills. Random Ipod theme song: Queen, “One Vision” – also the theme song to the ’80s movie, “Iron Eagle” – sadly, we didn’t go nearly as fast as the fighter jets in this movie.